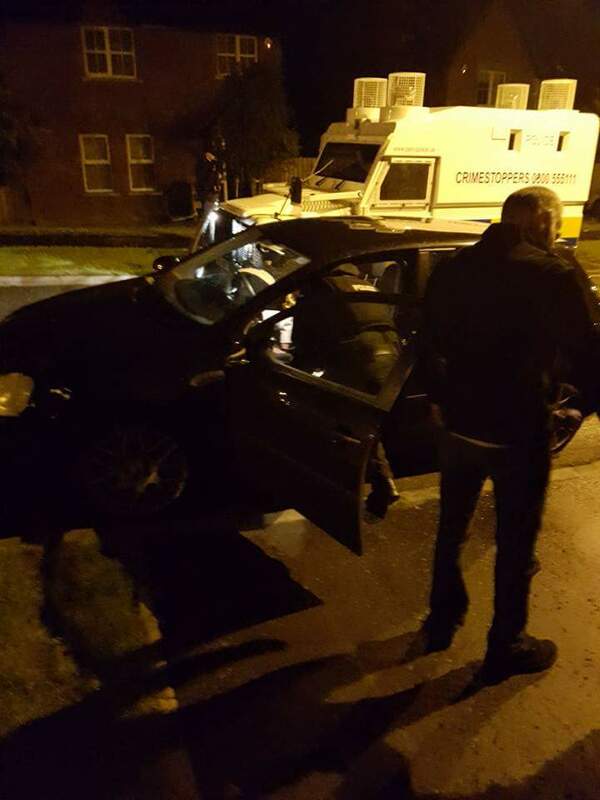 THE British army had secretly bugged a car belonging to a dissident suspect on the night he was allegedly involved in the murder of police constable Stephen Carroll. However, it can now be revealed that evidence from the bugging device was later destroyed while held inside a supposedly secure compound at an army base. 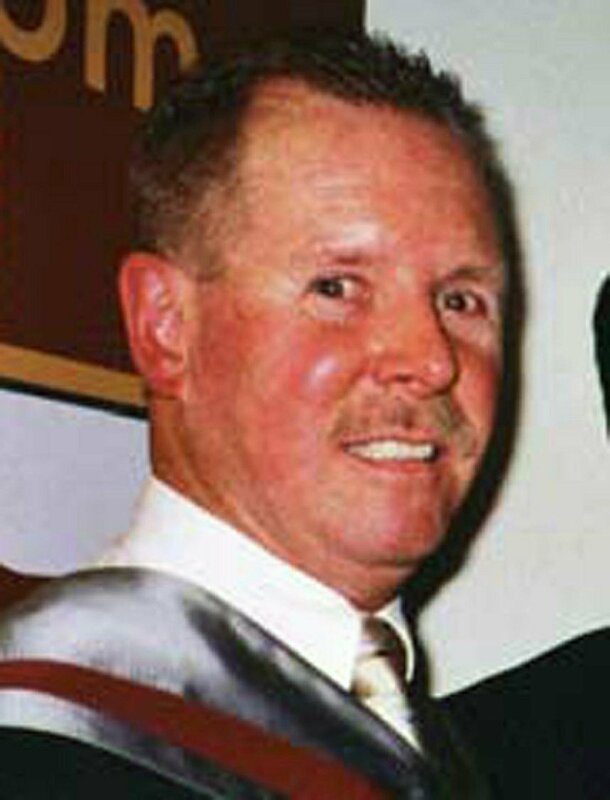 Constable Stephen Carroll became the first member of the PSNI to be murdered after he was shot while responding to a 999 call in Craigavon on the night of March 9, 2009. 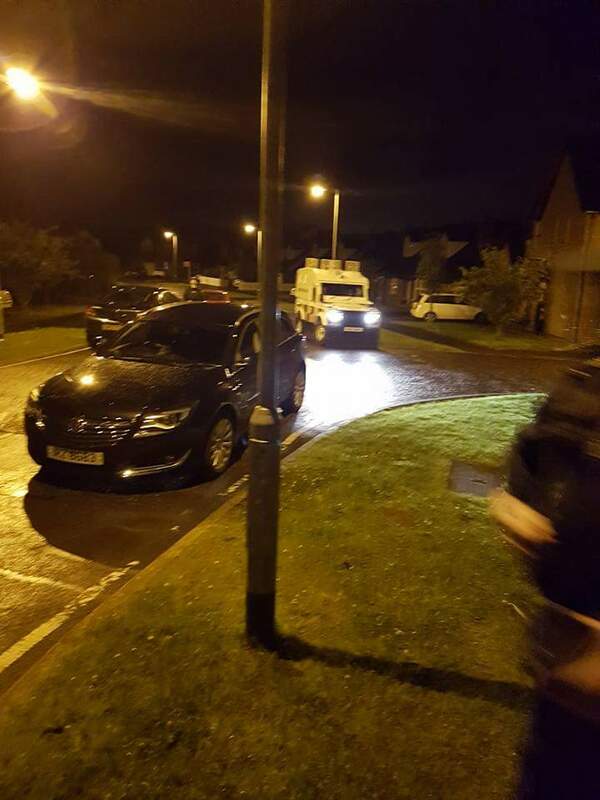 The killing came just 48 hours after Real IRA gunmen had shot dead two soldiers at Massereene army barracks in County Antrim. For sometime beforehand the authorities had warned of a rising threat emanating from the various dissident Republican groupings. Three days before Constable Carroll’s murder, then Chief Constable Sir Hugh Orde had announced that he had called in an undercover British army unit to help police target dissident republicans. Orde’s decision raised issues for members of the Northern Ireland Police Board. 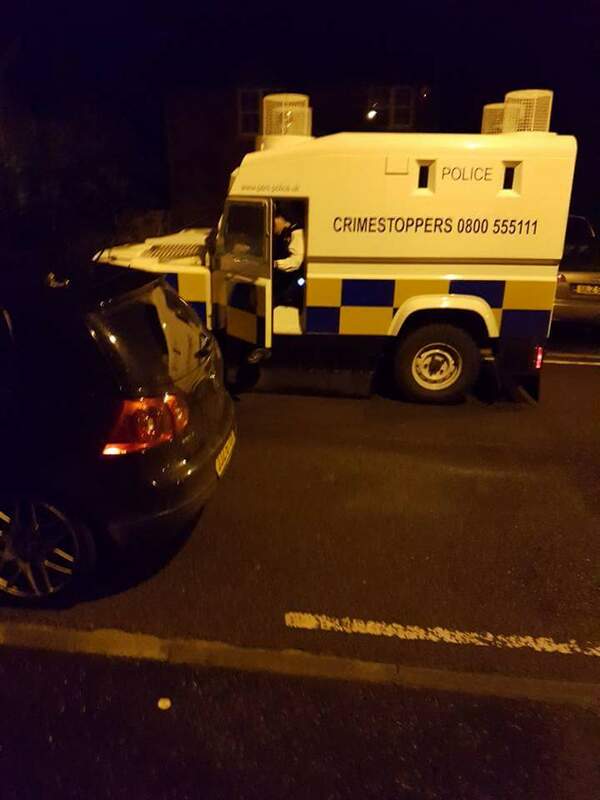 The SDLP said the deployment of the undercover unit had raised “the issue of who is in control” of intelligence in Northern Ireland, while Deputy First Minister, Martin McGuinness, said it had shaken his confidence in the chief constable. The Continuity IRA’s killing of Constable Carroll was viewed as a direct challenge to Hugh Orde and the security services. One of those arrested was 17 year-old John Paul Wooton. 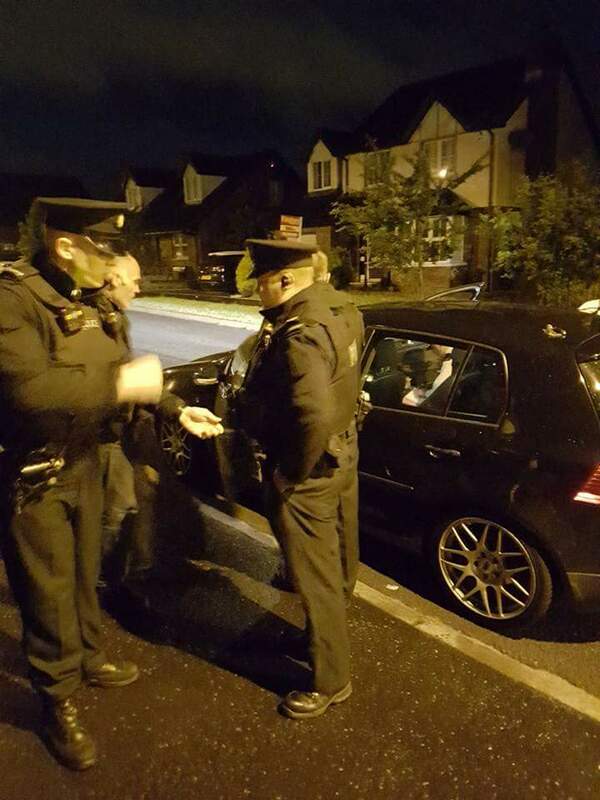 The teenager’s Citroen Saxo car was seized by the PSNI at the same time. Former Sinn Fein councillor Brendan McConville was another of those questioned. Both men were later charged with the policeman’s murder. In court, prosecution lawyers would later allege that Wooton’s car had been parked 150 yards from the scene of the shooting and had driven off within minutes of the killing. McConville’s DNA is alleged to have been found on a jacket recovered from the boot of Wooton’s car, which prosecutors claim also contained gun residue from the murder weapon. One witness claimed to have seen McConville close to the scene of the shooting before the attack. 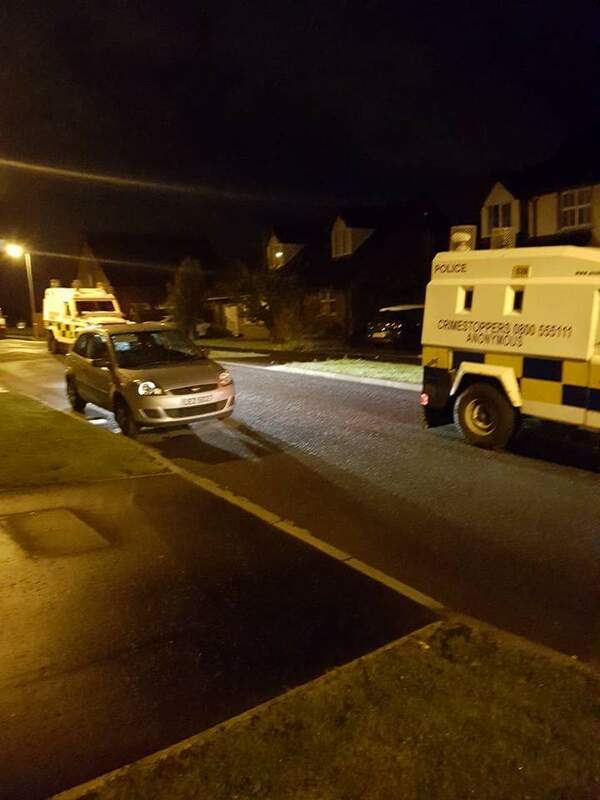 Another claimed that she had witnessed Wooton’s car parked outside McConville’s home on the morning after the attack. It can now be revealed that the Special Reconnaissance Regiment had been covertly bugging Wooton’s car and tracking its movements on the night of Constable Carroll’s murder. But alarmingly, army chiefs have admitted in court that data from the device used to track the getaway car on the morning after the shooting was inexplicably destroyed. Police arrest John Paul Wooton the day after Constable Stephen Carroll’s murder. In May 2010 a soldier from SRR made a statement to police confirming that it had Wotton’s car under constant surveillance, including the night of the policeman’s murder. “I am in the British army, `PIN 8625’. The level of undercover surveillance targeting Wooton was at such a level that the tracking device was programmed to send a signal from the teenager’s car via satellite every two minutes. “Once the device was deployed, my role was to retrieve the data from the vehicle tracking device,’’ he said. The device, understood to have been hidden in the engine of Wooton’s car, transmitted coded data back to an undisclosed army base, where SRR was secretly monitoring his movements. 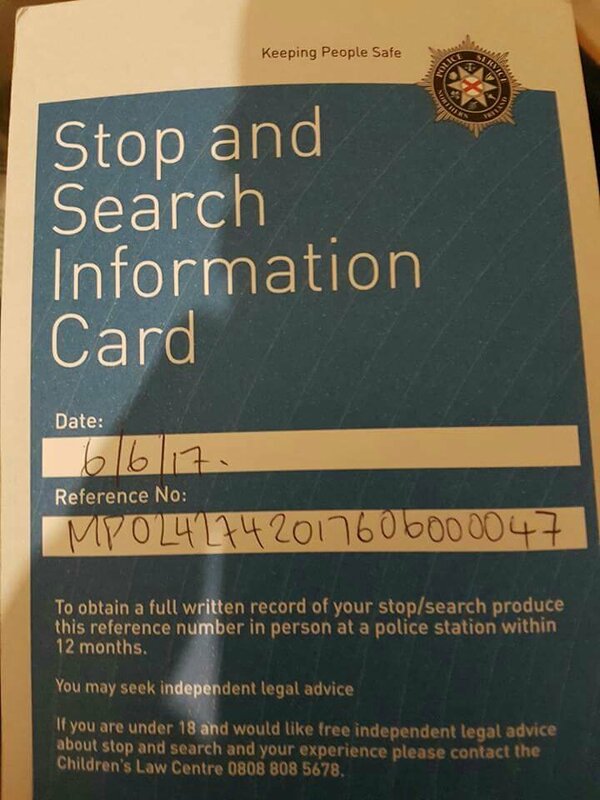 Two days after Constable Carroll’s murder `PIN 8625’ was ordered to go to Maydown PSNI station on the outskirts of Derry where the teenager’s car had been taken following his arrest. He recovered the tracking device and brought it back to SRR’s undisclosed base somewhere in Northern Ireland. In January this year, `PIN8625’ became the first member of the Special Reconnaissance Regiment to give evidence in court since Sir Hugh’s announcement that he was deploying the specialist undercover unit to Northern Ireland in March, 2007. His evidence went unnoticed as no members of the media were present in court for his testimony. However, The Detail, has now obtained copies of his original statement to police and a transcript of his evidence to the court. “I removed the vehicle tracking device from the Saxo and brought it back to my base,’’ he told police. He said that the potentially incriminating evidence contained on the tracking device was allowed to sit unsecured on a bench inside the army base while he went on extended leave. However when he appeared in court, the undercover soldier claimed that only part of the evidence had been destroyed. Speaking from behind a curtain, `PIN8625’ confirmed that data from the device had been wiped, despite being held in a supposedly secure army compound. “ I was asked to look and see if the information was still there, which it wasn’t,’’ he said. Q: “And were you able to obtain all that? Q: “You were unable to retrieve it because someone had wiped the device is that correct? Q: “Were you concerned that the device had been wiped? Q: “ So is it your evidence, is it, that all information up until the vehicle was taken by police was retrieved? Q: “You were aware that there was a gap weren’t you? `PIN 8625’was cross-examined further by Wooton’s solicitor Andrew Moriarty. Q:“Is it difficult to wipe the data? The soldier was cross-examined as to how vital intelligence could have been left unattended and then destroyed inside a secure army base. Q: “Do they require specific authorisation or permission? Q: “In the storage facility, is there any sort of labeling system for the material stored within? The court also heard evidence from a weapons’ contractor, identified only as witness `J’, who had supplied the device used to track Wooton’s car. 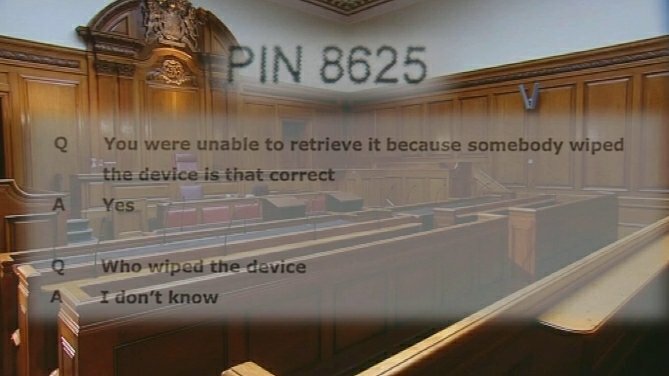 Witness `J’ was cross-examined over `PIN 8625’s assertion that the tracking device could have been wiped by accident? Q: “There’s a set procedure isn’t there for retrieving information from the device, isn’t that correct? Q: “There is also a set procedure for deleting information from the device, isn’t that correct? Q: “And is it fair to say that these procedures are completely different? “It is not my place to decide if the device (used to track Wooton] was accurate. With many thanks to: The Detail for the original posting dated: 14 March 2011. 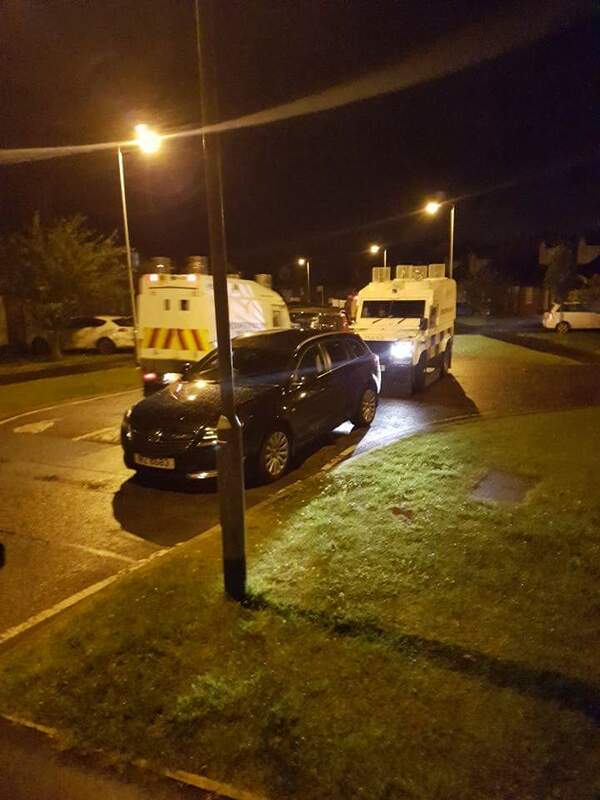 More Harressment & Intimidation by the RUC/PSNI on members of Republican Sinn Féin (RSF). 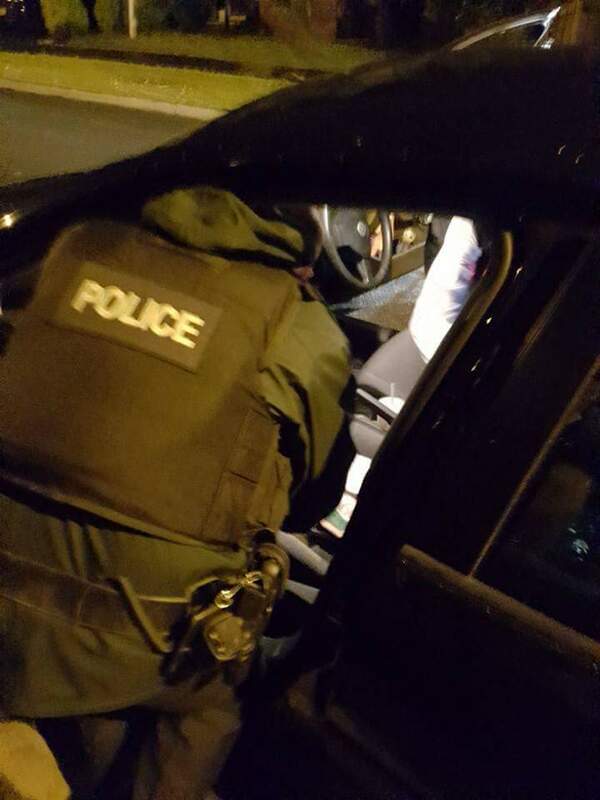 From almost daily stop and searches of persons and vehicles to more intimidating measures of forceably entering family homes to scare and put fear into innocent kids and families during house raids which are another tactic used by the british ruc psni to try and break families!! 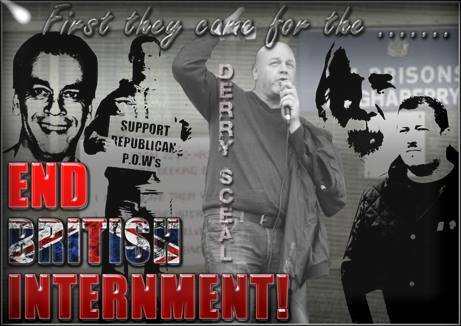 All these things do is make republicans stronger and more determined to rid these armed british thugs from our country and give Ireland back to the Irish again!! With many thanks to: Christopher Hamill, Republican Sinn Féin. Author seachranaidhe1Posted on June 8, 2017 Categories BUTCHER'S APRON, Injustice, RSF - REPUBLICIAN SINN FEINTags Christopher Hamill, harressment, human rights abuses, intimadation, Lurgan, Republican Sinn Féin, RSF, RUC/PSNI, Thomas Clarke LurganLeave a comment on More Harressment & Intimidation by the RUC/PSNI on members of Republican Sinn Féin (RSF). 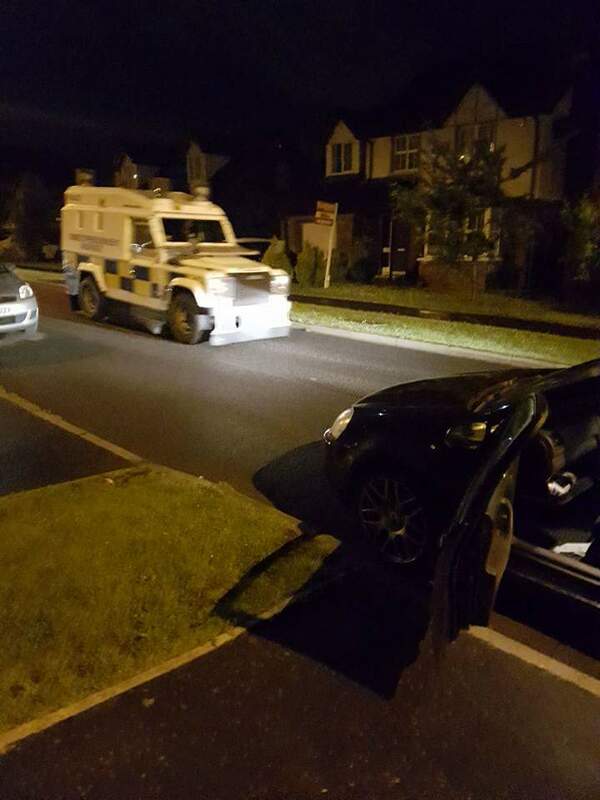 More Harassment Tonight from the Armed British Scum in the RUC/PSNI. 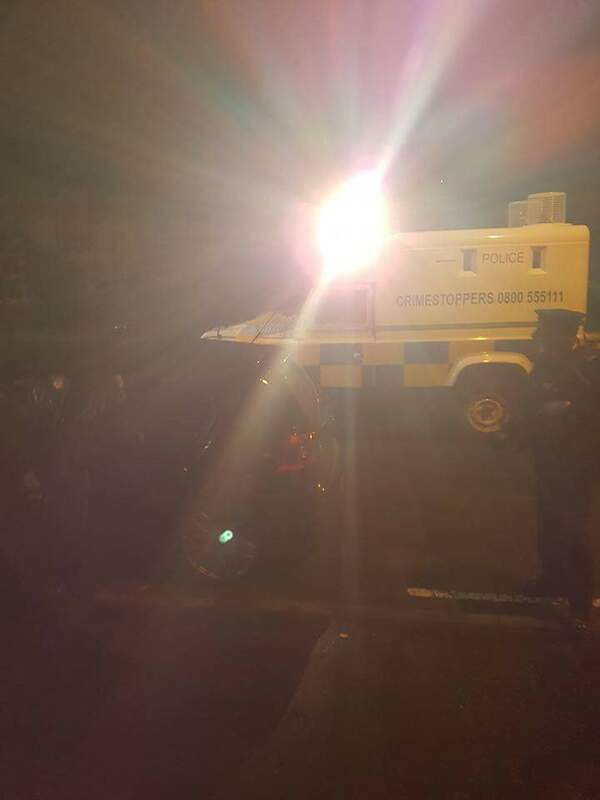 More harassment tonight from the armed british thugs in the psni ruc!! 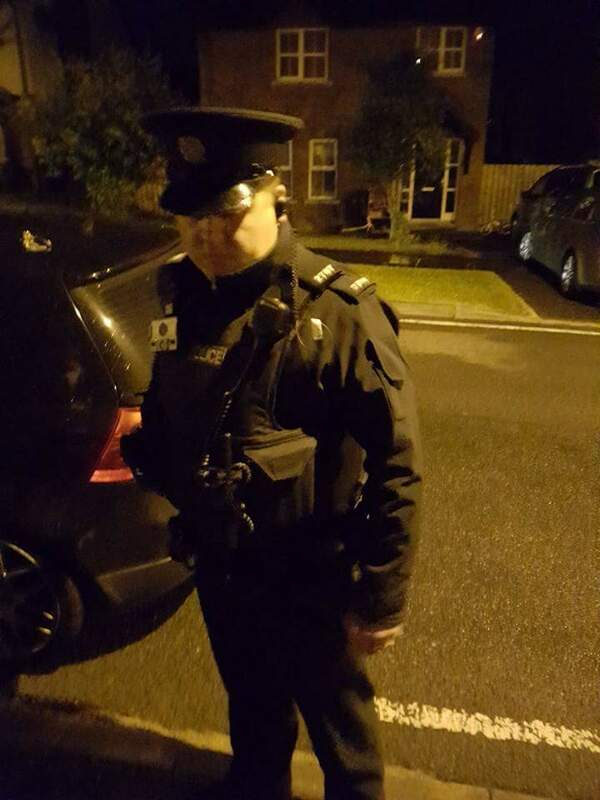 Up to a dozen of these men where involved in what can only be described as a clear case of harassment and intimidation of republicans on the streets of lurgan yet again!! Your actions wont deter us!! In fact they will make us more resilliant againt all your attempts to intimidate us!! With many thanks to: Christopher Hamill. 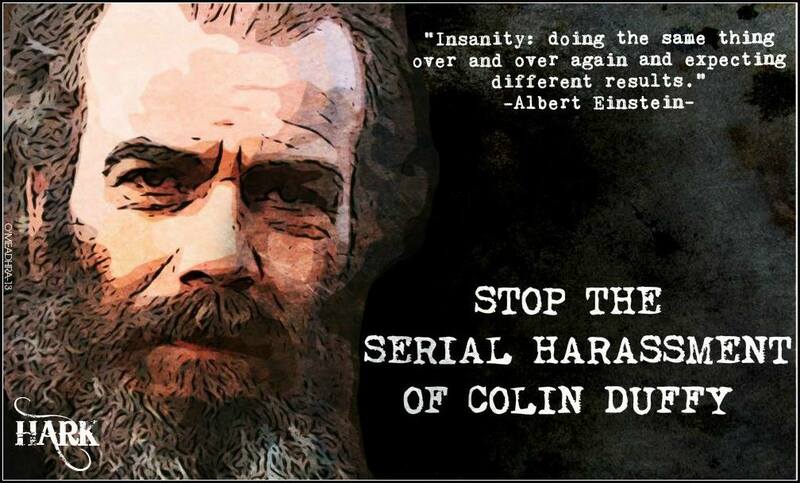 Author seachranaidhe1Posted on June 6, 2017 Categories BUTCHER'S APRONTags "They have nothing in their whole imperial arsenal that can break the spirit of one Irishman who doesn't want to be broken", #TAL32-16-81, Actons won't deter us, attempts, Christopher Hamill, clear case of harassment, Dozen, in fact, intimadate us, intimadation, involved, Lurgan, More Harassment Tonight from the Armed British Scum in the RUC/PSNI, more resilliant, PSNI, Republicans, RUC, Today In LurganLeave a comment on More Harassment Tonight from the Armed British Scum in the RUC/PSNI. 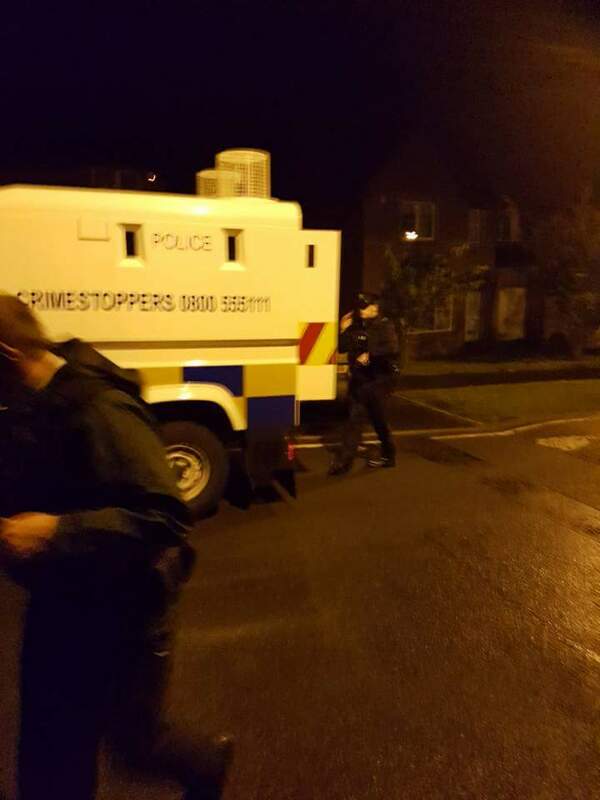 Unprecedented level of spying used against dissident trio accused of police murder plot. 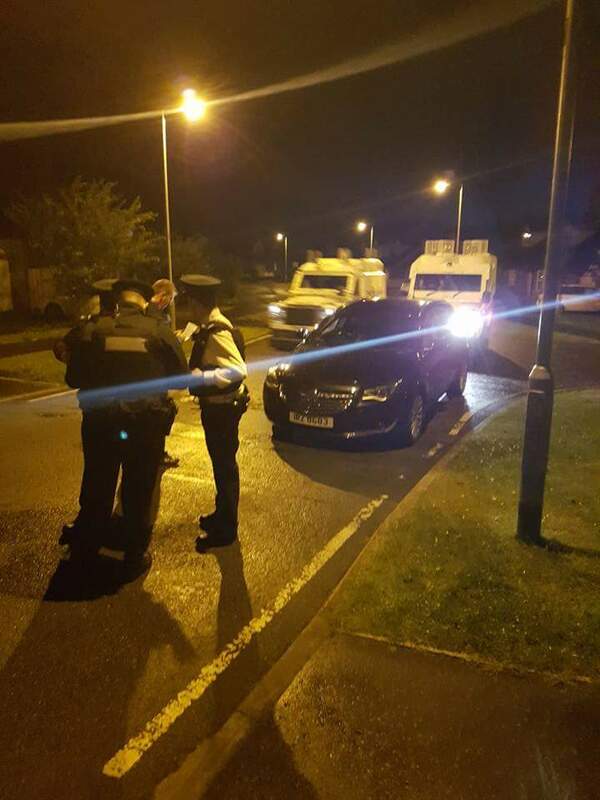 THREE leading dissident republicans charged with conspiracy to murder were subject to covert surveillance on an unprecedented scale, The Irish News has learned. Colin Duffy, Alec McMcrory, and Harry Fitzsimmons appeared in court this week accused of paramilitary offences. No details were given of the evidence against them. However, it is understood that all three have been under a lengthy period of sophisticated surveillance with MI5 assisting the PSNI/RUC in tracking their movements. The levels of monitoring were unprecedented in scale and included the placing of tiny listening devices in items of clothing. Tracking devices were also used and open spaces – including a green in Co Armagh were Duffy (46) was known to frequently walk – were fitted with hidden spying technology. 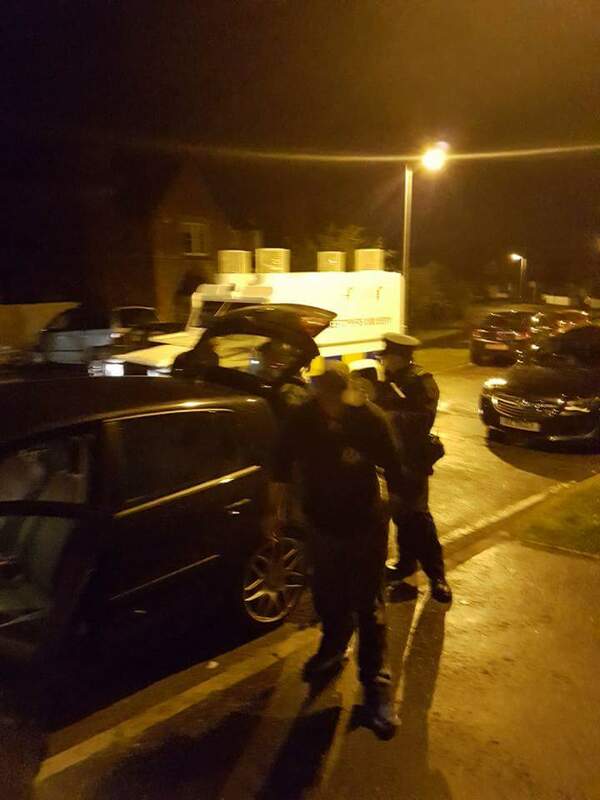 Gardai have also been assisting the PSNI/RUC as part of a cross-border crackdown on dissidents, monitoring suspects when they travelled to the Republic. 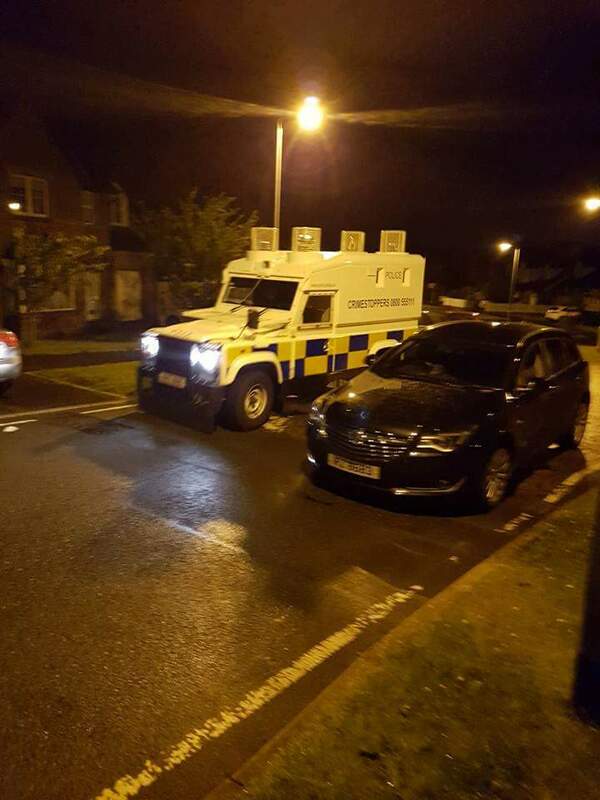 A house in Co Louth visited by Duffy and former IRA prisoner McCrory (52) is believed to have been under surveillance and fitted with listening devices. Under Home Office guidelines authorisation for ‘intrusive ssurveillance’ must be given by the secretary of state and can be granted for periods of six months at a time, providing its use is in the interests of ‘national security’. Although covertly gathered evidence has been used in the North of Ireland in the past, the monitoring surrounding Duffy is on a level never seen before. During the trial of teenager John Paul Wotton for the murder of Constable Stephen Carroll the court was told a military tracking device had been fitted to his vehicle. 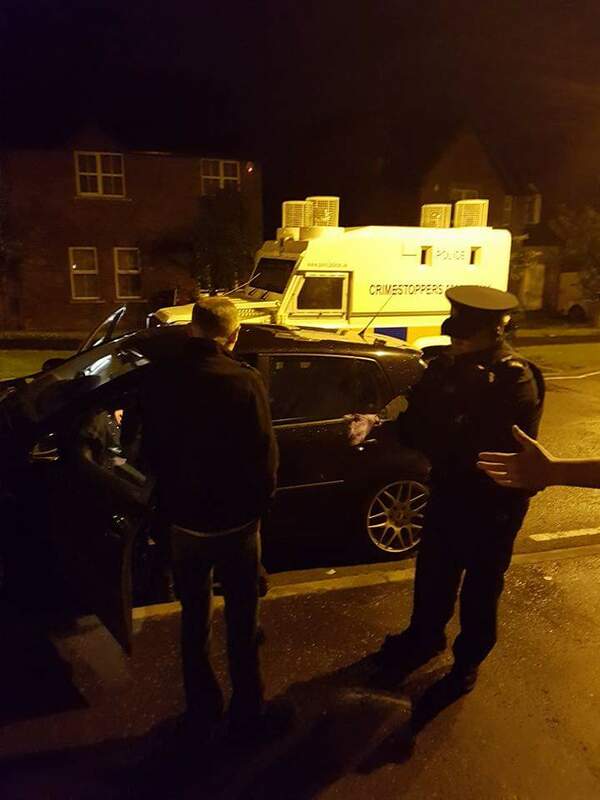 On Monday a workman in Craigavon, Co Armagh, found a military tracking device under the wheel arch of his van. This week Duffy, Fitzsimmons and McCrory were each charged with conspiracy to murder, conspiring to possess firearms and explosives with intent to endanger life and belonging to a proscribed organisation. 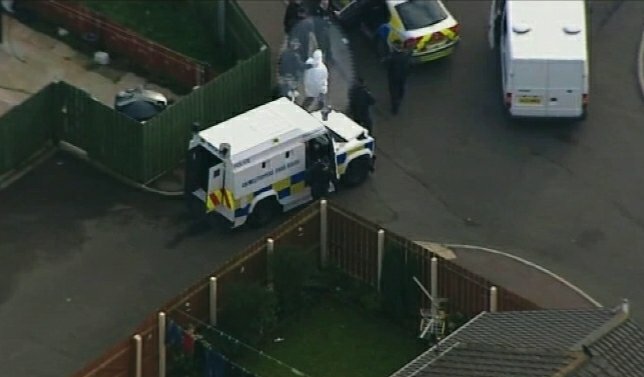 McCrory and Fitzsimmons were also accused of involvement in a gun attack on Crumlin Road in North Belfast on December 5 and possession of a firearm with intent. The offences cover a period between January 1 and December 16 this year, although Fitzsimmons (45) was only freed from prison in May after serving a jail term for the attempted kidnapping of Bobby To hill in 2004. The trio did not seek bail. With many thanks to: Allison Morris, The Irish News. Author seachranaidhe1Posted on December 20, 2013 Categories EXPOSING THE TRUTH IN ULSTERTags Belfast, Colin Duffy, Conspiracy to murder, County Armagh, Craigavon, Crumlin Road, Dissident republican, Duffy, Home Office, Irish News, Lurgan, Northern Ireland, Police Service of Northern Ireland, SurveillanceLeave a comment on Unprecedented level of spying used against dissident trio accused of police murder plot. THREE of the most high-profile republicans in the North of Ireland appearing in court together was always going to attract a huge amount of attention and it was standing room only in court 10 at Belfast’s Laganside complex on Tuesday. Co Armagh man Colin Duffy was joined in the dock by Harry Fitzsimmons, only recently released from Maghaberry Gaol after serving a sentence for abducting Bobby Tohill in 2004, along with Alec McCrory, a long-serving IRA prisoner and ‘blanket man’. 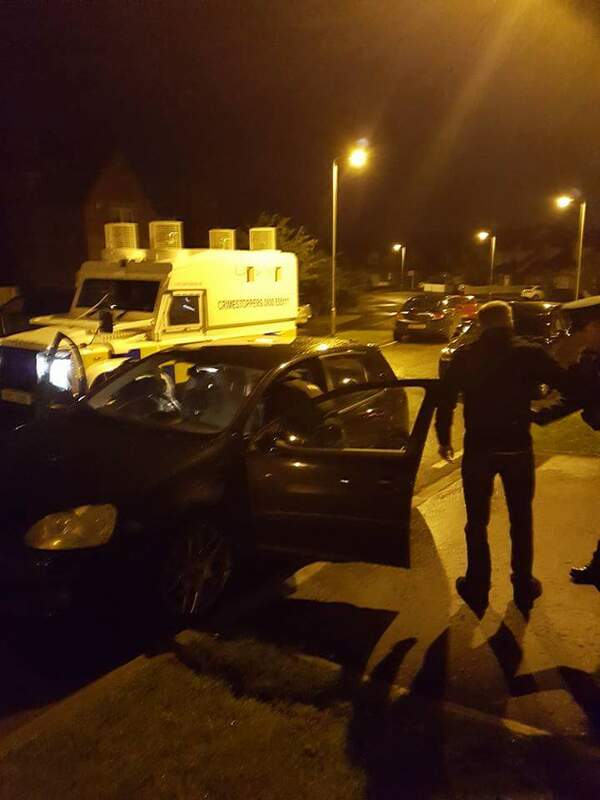 The trio face a series of charges including involvement in a dissident Republican gun attack on police vehicles in North Belfast earlier this month. 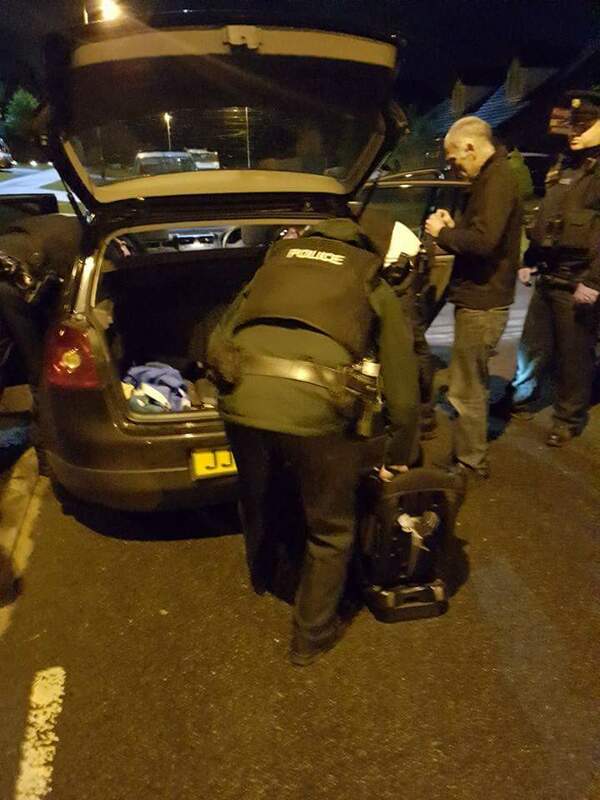 A Kalashnikov-style weapon was recovered during a follow-up search of the Ardoyne area following the shooting on December 5. The public gallery was packed to capacity with family members and supporters. Several loyalists charged in connection with July 12 violence appeared nervous as charges were put to them with such a large republican audience looking on. Recognisable faces among the supporters were Coalisland man Kevin Barry Murphy, North Belfast republican Brendan Conway and independent councillor Angela Nelson. Dressed casually when brought up from the court’s holding cells to the dock, the three accused remained impassive throughout the short hearing. They refused to stand while charges were read out and refused to answer when they were put to them. A detective said he could connect the accused to the offences. The men’s solicitors said they would not be applying for bail at this time. The hearing lasted less than five minutes, and as the three were taken back into custody supporters in the public gallery clapped and cheered. Magistrate Fiona Bagnall ordered the court be cleared. There was a heavy police presence outside the courthouse as the three were taken from the court to Maghaberry Gaol in a blacked-out prison van. Arguably the most recognisable face of anti-agreement republicanism, the Co Armagh man was acquitted in January 2012 of the murder of two British soldiers at Massereene army base in Co Antrim in 2009, having served a lengthy period on remand. In 1993 he was convicted of the PIRA murder of UDA man John Lyness but was acquitted on appeal. The 47-year-old was also detained followng the IRA murders of constable David Johnson and John Graham in Lurgan in June 1997, shortly before the second IRA ceasefire but the charges were dropped due to insufficient evidence. In November last year he was arrested by detectives investigating the murder of prison officer David Black but was released without charge. 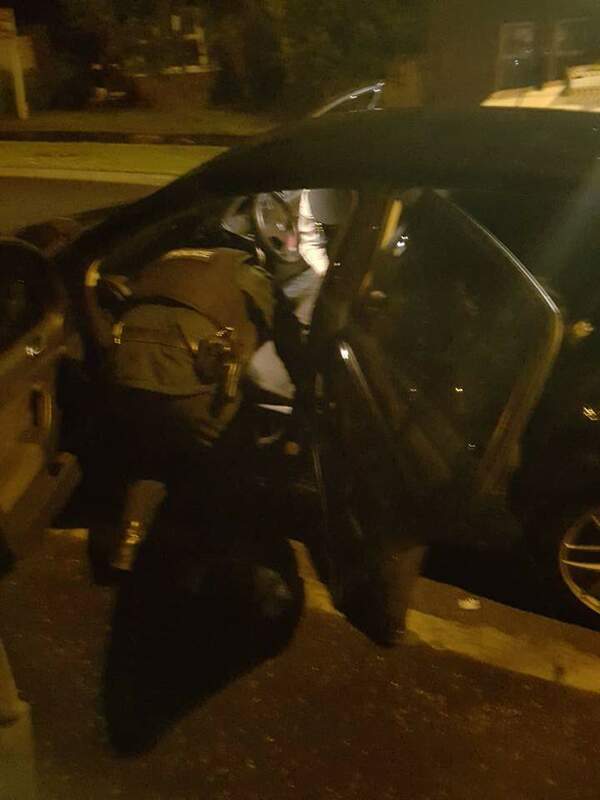 His most recent arrest was in May of this year when he was qustioned about dissident republican activity before being released unconditionally. Once the most senior member of Shame Fein in the Lurgan area the hard line republican left the party prior to the decision to endorse policing. He was briefly a member of eirigi, but left the party shortly before his arrest for the Massereene attack. 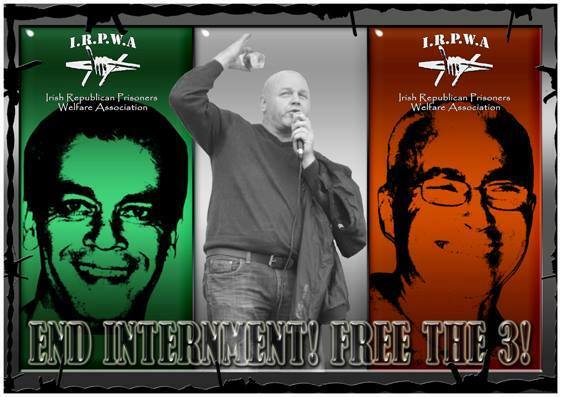 The West Belfast man served two periods of imprisonment for the Provisional IRA. He was one of the youngest prisoners to join the blanket protest after being jailed in 1978 at the age of 17. He was imprisoned for a second time in the 1980s and served 14 years for possession of a bomb. In 2011 he was the first person in the North of Ireland to make an offcial complaint to the Investigatory Powers Tribunal over what he claimed were repeated attempts by MI5 to recruit him as an agent. More recently he has acted as a spokesman for republican prisoners held in Maghaberry. HE was released from prison in May of this year after serving a jail term for the abduction of dissident Bobby Tohill in 2004 from a Belfast city centre bar. Tohill was rescued by police who rammed the van he was being carried in, he later refused to give evidence against his abductors. The event nearly jeopardized the Peace Process as the Provos were on ceasefire at the time. Fitzsimmons and his co accused went on the run in 2006 while awaiting sentencing, he was extradited to the North after being arrested in Dundalk in November 2009. While in Maghaberry he spent most of his sentence on protest against the prison regime. He was arrested last month and questioned about the murder of drug dealer Kevin Kearney but was released without charge. 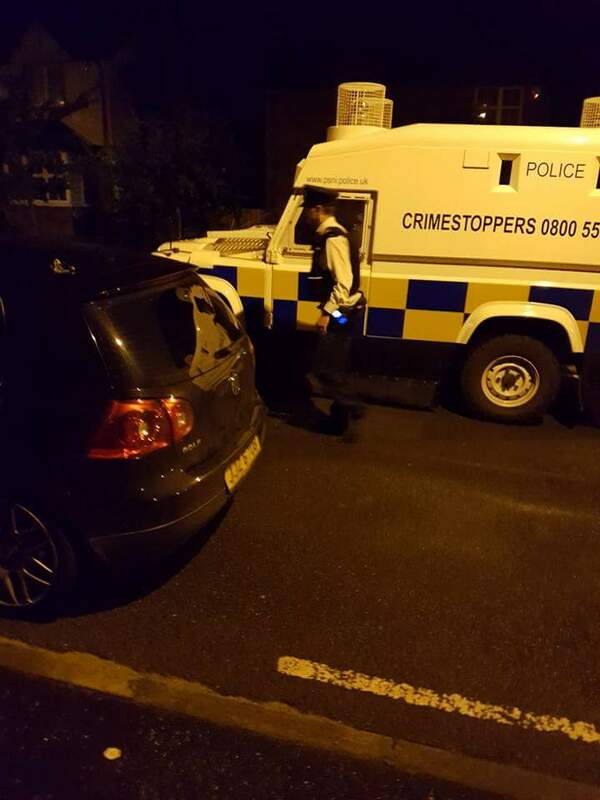 Since being released he had been living in North Belfast, however, after receiving death threats his address was given on Tuesday as of ‘no fixed abode’. Just reading there about Martin Corey‘s appeal being rejected.. Absolute disgrace! More than a disgrace.. The British can jail anybody they want stating they have secret evidence that can’t be challenged in court as nobody knows what it is (barring those that invented it). We are basically second class citizins in our very own country. Martin Corey is effectively serving an indeterminate sentence.. Where are the 70’s, 80’s and 90’s “Human Rights” campaigners from Sinn Fein in all this? As Billy Hutchinson said without contradiction from John O’Dowd in “Spotlight Special”… “They’re adminstering British rule in a British parliament!” They are indeed to thier eternal shame. Brassneckng it as bit part players in a toothless sub-parliament administering the will of the 800-year-old enemy while deliberately oblivious of Human Rights abuses at home. A 63-year-old man suffers internment stretching over threeyears and forced strip searchs by sectarian goons and outflanked and clueless bluffers in Stormont do nothing but build personal wealth and portfolios. With many thanks to: Derry Sceal. 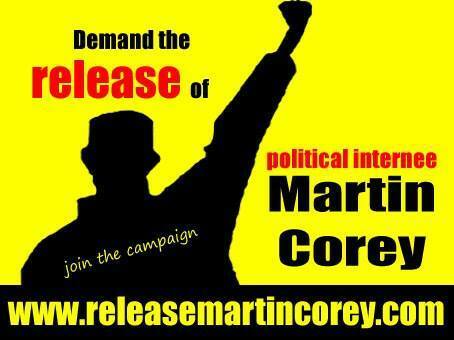 Martin Corey is a former Provisional IRA member. In 1973, he took part in a Provisional IRA ambush on the Royal Ulster Constabulary in Aghalee along with two other Volunteers, Peter McVeigh and William Meehan. One RUC officer; Constable Raymond Wylie, died instantly. Constable Robert McCauley died on 25 March 1973, almost one month after the initial incident. In December 1973, Martin Corey, along with his two comrades, was found guilty of the shooting and sentenced to life imprisonment inside the H-Blocks. He was released in June 1992. He was taken back into custody on April 16, 2010, on the basis of “closed material”. 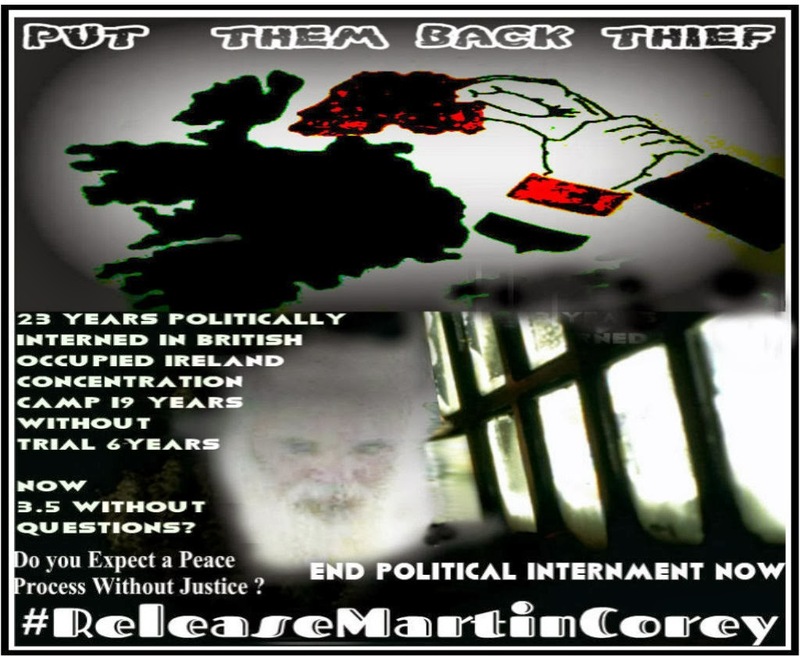 On July 9, Justice Treacy ruled that Martin Corey’s human rights had been breached and he should be released immediately on unconditional bail. This was overruled by Secretary of State, Shaun Woodward. On July 10, the matter was referred back to the court. 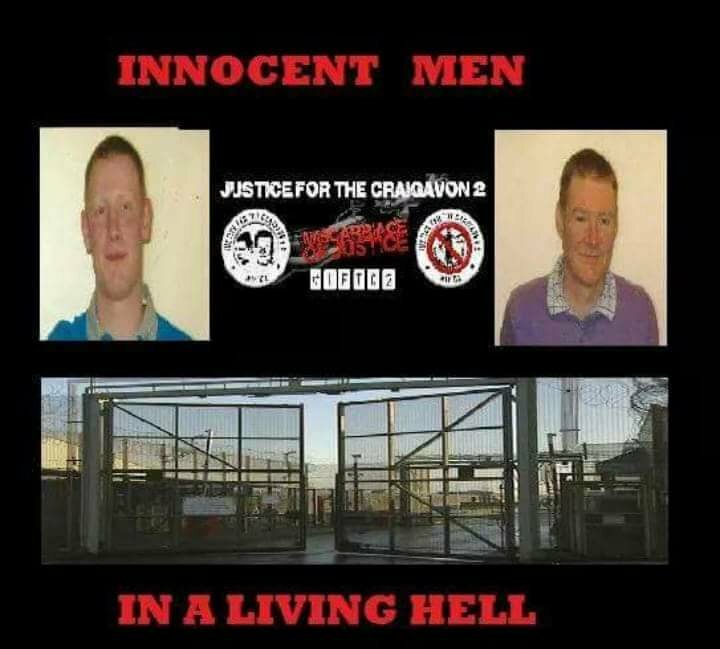 The matter was to be reviewed by Justice McCloskey who further stayed corey’s release until an appeal court could hear it the next day. An appeal was heard on July 11, with Justice McCloskey and Justice Morgan. That court upheld the Secretary of States’ overruling, and referred it to be heard again on September 28, 2012. Martin Corey was granted compassionate leave to attend the funeral mass of his brother who died in May, 2012. That decision was brought to the High Court in Belfast who upheld it. Leave was eventually granted on the condition that two members of the Northern Ireland Assembly and his lifelong friend Jim McIlmurray accompany him. He was born in Lurgan, Co. Armagh, Ireland.